Hiring a quality home care agency with trained Alzheimer’s and Dementia caregivers can be challenging. At CityCARE Home Health in CT we have developed an elderly care Alzheimer’s and dementia program to help facilitate maximum independence when possible, provide safety in a comfortable environment, and use the latest methods available to delay cognitive decline. We will select a qualified caregiver for your aging loved one, who’s had training and prior experience with Alzheimer’s or dementia patients. Our homemakers and companions, home health aides, and Certified Nursing Assistants (CNAs) are specially trained in CityCARE’s Alzheimer’s and dementia caregivers program, which provides training in safety, recognition of unique needs associated with the Alzheimer’s disease, cognitive support, quality elderly care and client comfort. They Monitor personal comfort: Check for pain, hunger, thirst, constipation, full bladder, fatigue, infections and skin irritation. Maintain a comfortable room temperature. They Avoid being confrontational: Depending on disease progression, disputing even the most minute details may aggravate an elderly person afflicted with Alzheimer’s disease, make them anxious and create a strenuous situation. Our caregivers are flexible and supportive, and are trained to respond to the patient’s emotion, not behavior. They Create a calm environment: Overstimulation can make Alzheimer’s patients apprehensive. Our experienced caregivers are specially trained to avoid noise, glare, insecure space and too much background distraction, including television, to provide a soothing environment and quality elderly care. They Allow adequate rest between stimulating events: Environmental influences are known to make Alzheimer’s/dementia symptoms worse. Downtime is crucial for clients with Alzheimer’s disease to relieve some of the anxiety. They Look for reasons behind each behavior and never take the behavior personally: People with Alzheimer’s disease and other dementias have more difficulty verbally expressing thoughts and emotions; they also have more trouble understanding others. Our home care agency’s caregivers are specially trained to communicate appropriately with Alzheimer’s patients, and consider their growing emotional needs. 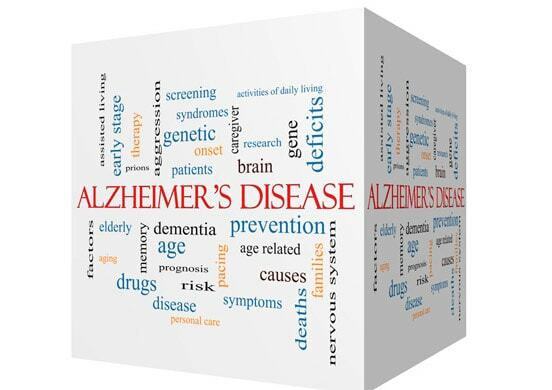 Many people find the change in behavior caused by Alzheimer’s to be the most challenging and distressing effect of the disease. Our specially trained Alzheimer’s and dementia caregivers will do their best to help. CityCARE Home Health in CT will work together with you to create a safe and comfortable home care environment for your elderly loved one with Alzheimer’s disease or dementia. 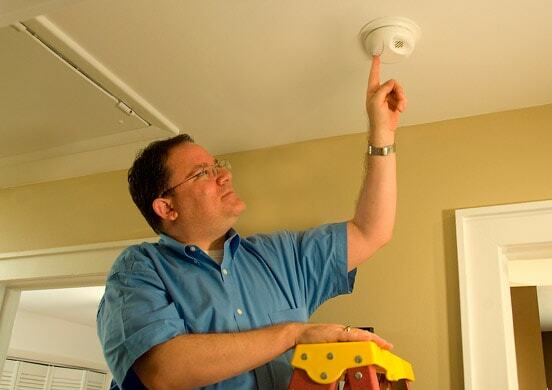 Our Alzheimer’s and dementia caregivers continuously monitor home safety conditions and notify the support team when needing to improve conditions. 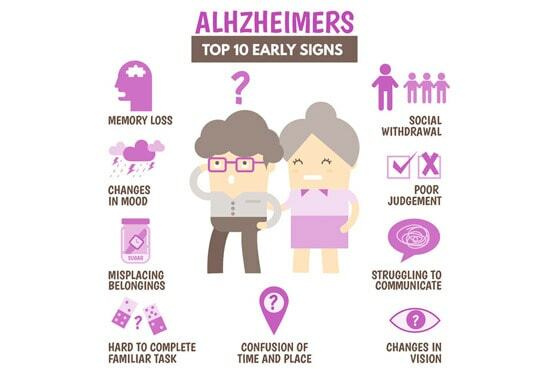 If you are concerned about your own or a loved one’s cognitive health and are wondering if a caregiver specially trained in Alzheimer’s care is the right choice for you, you can find an early Alzheimer’s detection test here. We believe a person with Alzheimer’s or other progressive dementia functions better when their days are organized. Structured and pleasant activities can often reduce agitation and improve mood. The caregiver and all of the CityCARE Home Health team in CT will continuously work to keep your elderly loved one engaged. We will explore, adjust and have open dialogue with you and your family. The daily plan will include a schedule for chores, mealtimes, and personal care. We will also plan out weekly activities, including creative, intellectual, physical, social, and spiritual pastimes to motivate your elderly loved one. We work with you on the weekly senior home care plan and always consider the person’s likes, abilities, and interests. As the disease progresses we continuously monitor the assisted living situation and are always ready to make adjustments. Our Alzheimer’s and dementia caregivers implement our home care plans, which focus on enjoyment, not achievement, and help encourage involvement in daily life for your elderly loved one. Music can be powerful. Studies have shown music may reduce agitation and improve behavioral issues that are common in the middle-stages of Alzheimer’s disease and dementia. 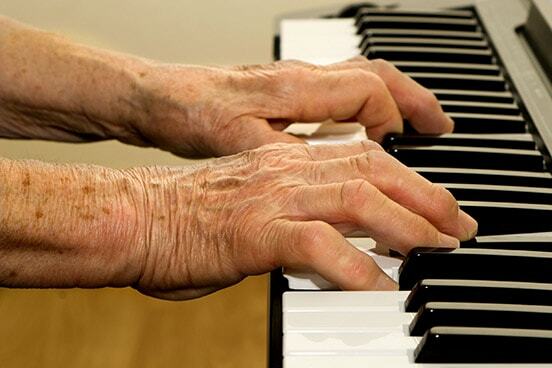 Even in the late-stages of Alzheimer’s, a person may be able to tap a beat or sing lyrics to a song from childhood. Music provides a way to connect, even after verbal communication has become difficult or impossible. As part of our home care agency’s specially designed Alzheimer’s program, our dedicated Alzheimer’s and dementia caregivers will provide song and musical stimulation, on a daily basis. Art projects can create a sense of accomplishment and purpose. They can provide the person with dementia, as well as caregivers, an opportunity for self-expression. Our Connecticut home care agency provides various games, which include word play, faces/scenes, categorizing objects, number games, and puzzles. Research findings support that routinely providing individualized cognitive stimulation to those with mild to moderate stages of dementia or Alzheimer’s disease can produce short-term improvements and/or reduce decline in cognitive function. In addition to improving cognitive function in individuals with dementia, trial results from non-pharmacological interventions revealed improved functional status, quality of life, psychological wellbeing and social participation. CityCARE Home Health in CT works closely with your family to ensure quality home care for you elderly loved one with Alzheimer’s or dementia. At CityCARE Home Health in CT, we provide you and your loved one with quality Alzheimer’s care for any stage of this disease. We recognize that Alzheimer’s and dementia affects each person differently, therefore, we tailor our assisted living and respite care to meet your unique needs. Our home care agency’s trained Alzheimer’s and dementia caregivers are here to help preserve dignity and independence for those who have Alzheimer’s disease, as well as provide respite care for the family. We feel it’s essential to find ways to ease the emotional frustrations that come with Alzheimer’s disease and dementia-related disorders. These difficulties don’t just affect the person living with the condition, but also the entire family. Trained home health aides, Certified Nursing Assistants (CNAs), homemakers and companions bring families closer together so they can all provide the necessary elderly care and encourage the person living with dementia. You are not alone. 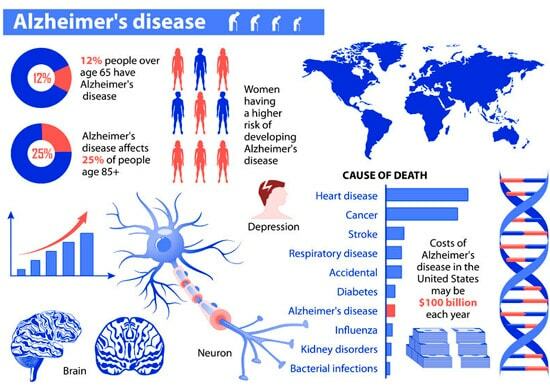 Over five million people in the United States are living with Alzheimer’s or another form of dementia.